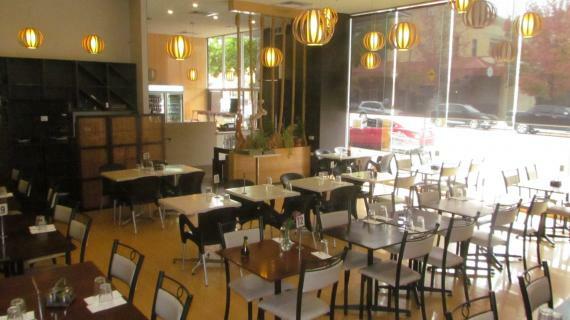 Streets of Asia is an established restaurant operating within the hub of the Tuggeranong area for over 15 years and trading within its current location for 10 years. The restaurant is centrally located on South Point Shopping Centre's main eatery strip on Anketell St. It is a part of the shopping Centre and is also close to work offices and apartments. - Currently operating as an Asian restaurant, providing both dine in and takeaway. - Seating capacity of 70 guests. - Features a take away station consisted of two bain maries catering to the lunch time rush. - Kitchen: Consists of a cool room as well as an undercounter refrigerator. - Dishwasher and glass cleaner. The restaurant currently operates a lunch time service 11:30am – 2:30pm and dinner service 5:00pm – 9:30pm. From Monday to Saturday. After more than 25 years within the hospitality industry the owners are looking to retire. If you are looking to sell your Cafe and Restaurant or Restaurant business for sale, or business for sale in ACT (ACT), Australian Business for Sale has variety of packages to choose from. Click here to read How to Sell A Business Online. Click to see shops in Australia.